The Koi Pond Aeration Kit AKIT-5000 is for koi ponds up to 5,000 gallons. 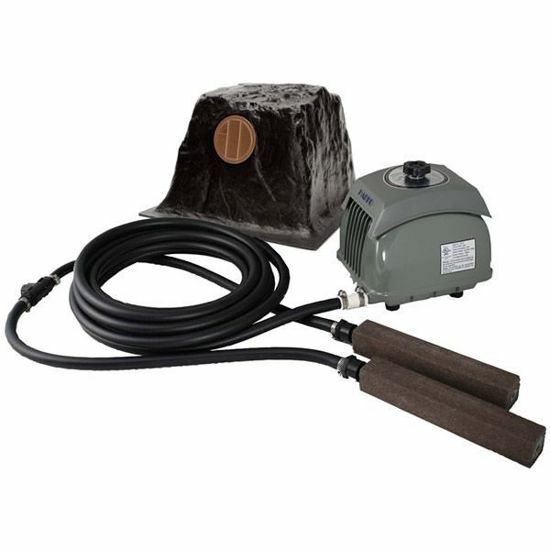 Includes Hakko 60L Air Pump, 30 feet 3/8 inch weighted air tubing, 2 - 12 inch Alumina Air Stones, and Econo rock cover. The Koi Pond Aeration Kit AKIT-5000 is for koi ponds up to 5,000 gallons. The AKIT-5000 produces 2.1 CFM at 6 feet and uses 63 watts of power.